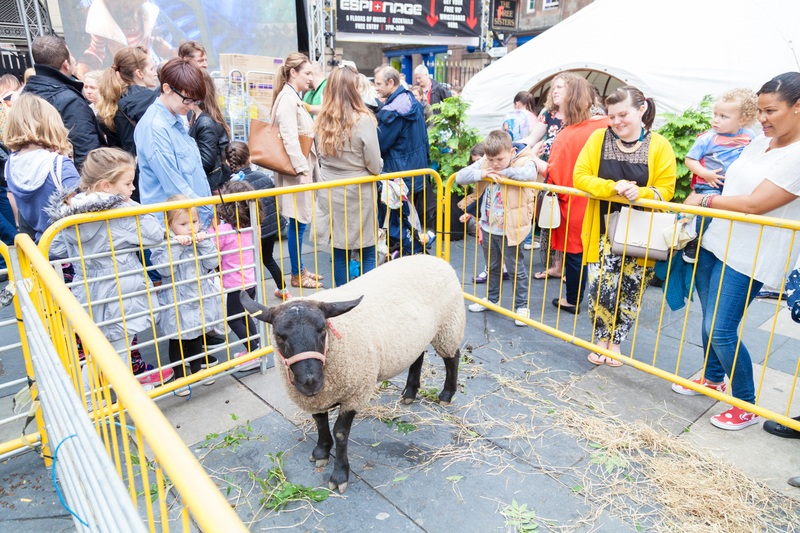 So, for the third year running, the Free Sisters are hosting another Fringe for Bairns located in the courtyard at the Three Sisters on the Cowgate – expect children’s shows, face painting, magicians, an outdoor cinema and the return of the very popular courtyard petting zoo. Amazing Magic Christopher – This family magic show features magic, balloon modelling, Barney the Puppet Bird and lots and lots of audience participation and fun. A show suitable for all the family, you will be intrigued, entertained and amazed. Boogers, Books and Big Bottom Burps – Boogers, books and big bottom burps is a hilarious show from award-winning author Stuart Reid, featuring his popular brand of schoolboy humour and stupidity. Stuart will be launching his 6th book Gorgeous George and his Stupid Stinky Stories, at the festival, with readings, video clips, music with mildly amusing photographs and illustrations from the books. Science Magic – Prepare to enter the magical world of science. Forget Harry Potter, Dónal is the real wizard. He will show you how to put a skewer through a balloon without popping it, mix potions to create your very own volcano, set paper on fire without burning it, turn water upside-down without spilling it, conjure an invisible force to blow out a candle, make a cola bottle explode in a fountain and more. Before all the chaos and hecticness of the festival starts, this looks like an ideal warm up ! This entry was posted in Free events and happenings and tagged five sisters zoo, free fringe for kids, free shows for children edinburghf estival, free shows for kids, free shows for kids edinburgh festival, fringe for bairns, fringe for bairns 2017, petting zoo edinburgh festival, petting zoo three sisters, three sisters by Edinburghfestivalsforkids. Bookmark the permalink.